World Cup: At No. 4 and No. 6 – Ambati Rayudu, Kedar Jadhav confirmed? With the World Cup round the corner the gaps in the Indian batting line-up have been the topic of discussion for a while and the astonishing 92 all out two days before at Hamilton helped to add to the sense of unease. 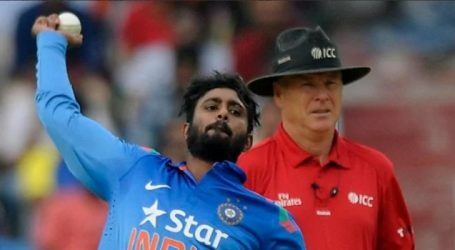 India were at 18/4 against New Zealand, but in Wellington, Ambati Rayudu answered all those questions with an emphatic 90 that all but finished the No. 4 debate for now. Openers Rohit Sharma and Shikhar Dhawan might have had the odd failure in Australia and New Zealand, but there’s absolutely no doubt about their spots. With Virat Kohli at No. 3 and MS Dhoni at 5 being certainties, the talk has invariably centered around No. 4 and 6.